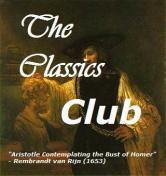 Remember the Classics Club Spin #2? When number 6 was chosen, corresponding to Tess of the d'Urbervilles by Thomas Hardy on my list, I'll admit to being a little apprehensive. After all, I had a history with that particular novel. About ten years ago, I began reading it with an online group, fell behind around page 150, and quietly returned it to my shelf... where it has been a reminder of my failure ever since. My progress was painfully slow on this second attempt, too, so I decided to speed things up by making the book a read/listen combination. Of course, I chose the Simon Vance narration, because Vance is the voice of classic British literature as far as I'm concerned. I finished listening on July 1, just under the wire for the spin deadline. Surprisingly, I knew very little about the plot of the novel and will not go into detail here, but if you have not read this classic, you really must. Tess gained my sympathies early on and I was enraged at the treatment she received - from Alec d’Urberville, Angel Clare, her family, and society in general. The ending left me utterly speechless. 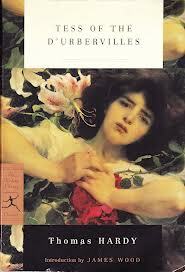 Despite needing the audio to pull me through, I have added Tess of the d'Urbervilles to my list of favorites. It truly redefines my idea and expectations of a tragedy. Instead of a book review or recipe, today I want to tell you about a recently discovered series of books. I've long been a fan of Modern Library and, when faced with a choice, almost always opt for their editions. 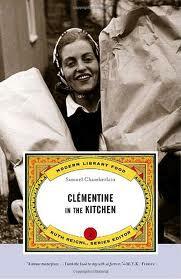 A couple of weeks ago, in conjunction with Paris in July, Audrey reviewed Clementine in the Kitchen by Samuel Chamberlain. Audrey's reviews often prompt additions to my wish list, but this time I was thrilled to discover that the book is actually part of Modern Library's Food Series. Naturally, further investigation was in order. Though not a large series, the books, both nonfiction and fiction, seem to have vintage leanings and several look quite interesting. My wish list is officially out of control. This is a new era for women, and New York is a confusing place for Rose. Gone are the Victorian standards of what is acceptable. All around her women bob their hair, they smoke, they go to speakeasies. Yet prudish Rose is stuck in the fading light of yesteryear, searching for the nurturing companionship that eluded her childhood. When glamorous Odalie, a new girl, joins the typing pool, despite her best intentions Rose falls under Odalie’s spell. As the two women navigate between the sparkling underworld of speakeasies by night and their work at the station by day, Rose is drawn fully into Odalie’s high-stakes world. And soon her fascination with Odalie turns into an obsession from which she may never recover. Could Rose be crazy? That possibility dawned on me fairly early as I listened to The Other Typist. 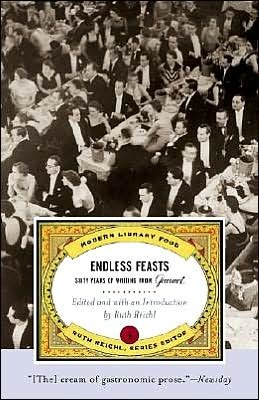 Something is not quite right in Rose's voice, in her manner, as she recounts this tale of obsession, glamour, and extravagance set against a backdrop of prohibition, corruption, and, eventually, murder in 1920's New York City. This Gatsby-esque drama drew me in right away, yet I felt slightly off-kilter somehow throughout Rose's narrative. Near the halfway mark, I found that there wasn't enough listening time (CDs in the car) and ended up purchasing a hardcover copy. The final pages, however, left me stunned and speechless - what the heck just happened?? Now I don't mind an open ending, but this is ambiguity in the extreme, folks. In fact, some might claim that it's just plain confusing. Either way, The Other Typist leaves the reader with a delicious dilemma to puzzle over... one my book club could spend an entire meeting discussing. I'm still trying to work out what actually happened. Gretchen Mol is a new-to-me narrator and I loved her portrayal of Rose. Her carefully measured delivery perfectly captured Rose's holier than thou, know it all attitude. 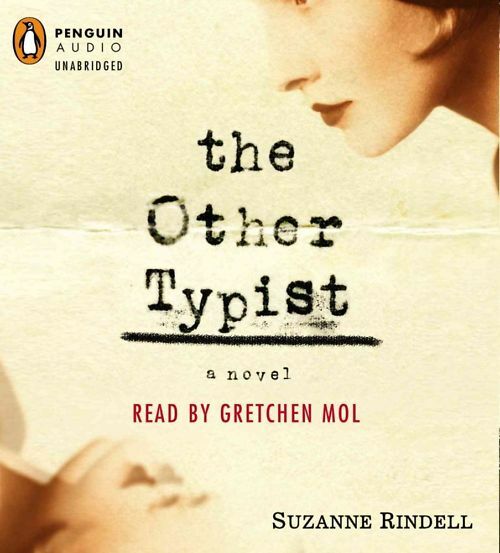 The Other Typist is her only credit at audible, but I will keep an ear on her career! 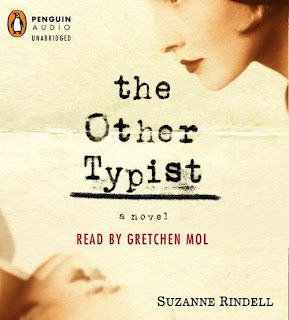 Bottom line: The Other Typist is another winner from the Amy Einhorn imprint, but if you prefer books with a neatly packaged ending, then run, don't walk, in the opposite direction. 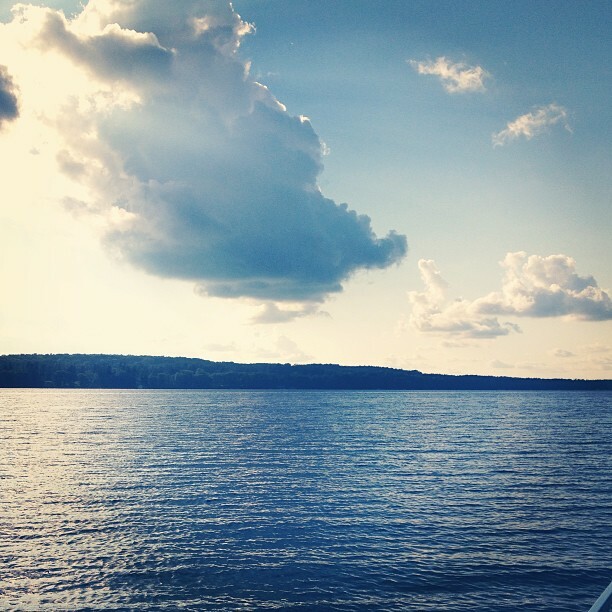 "A certain feeling comes from throwing your good life away, and it is one part rapture. Or so it seemed for now, to a woman with flame-colored hair who marched uphill to meet her demise. Innocence was no part of this. She knew her own recklessness and marveled, really, at how one hard little flint of thrill could outweigh the pillowy, suffocating aftermath of a long disgrace. The shame and loss would infect her children too, that was the worst of it, in a town where everyone knew them. Even the teenage cashiers at the grocery would take an edge with her after this, clicking painted fingernails on the counter while she wrote her check, eying the oatmeal and frozen peas of an unhinged family and exchanging looks with the bag boy: She's that one. How they admired their own steadfast lives. Right up to the day when hope in all its versions went out of stock, including the crummy discount brands, and the heart had just one instruction left: run. Like a hunted animal, or a racehorse, winning or losing felt exactly alike at this stage, with the same coursing of blood and shortness of breath. She smoked too much, that was another mortification to throw in with the others. But she had cast her lot. Plenty of people took this way out, looking future damage in the eye and naming it something else. Now it was her turn. She could claim the tightness in her chest and call it bliss, rather than the same breathlessness she could be feeling at home right now while toting a heavy laundry basket, behaving like a sensible mother of two." I plan to start this book later today; it's my book club's August selection. 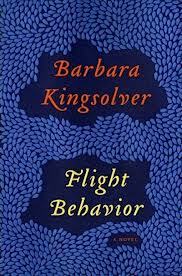 I've read Kingsolver on and off over the years and have enjoyed, to varying degrees The Bean Trees, Pigs in Heaven, Animal Dreams, The Poisonwood Bible, Prodigal Summer (my favorite), and Animal, Vegetable, Miracle. 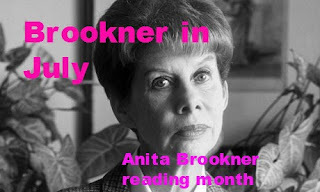 I haven't read her most recent novels, so look forward to catching up with her work. Yes, today is the day and it looks like I'll be sharing it with royalty. Kate is in labor and the world awaits news of a royal birth. Remember last week's stack of abundance? In a moment of rashness, I returned the entire pile to the library and decided to start over. Now that I know about suspending holds, my list should be kept under better control and six books won't become available at the same time. At least that's the plan. 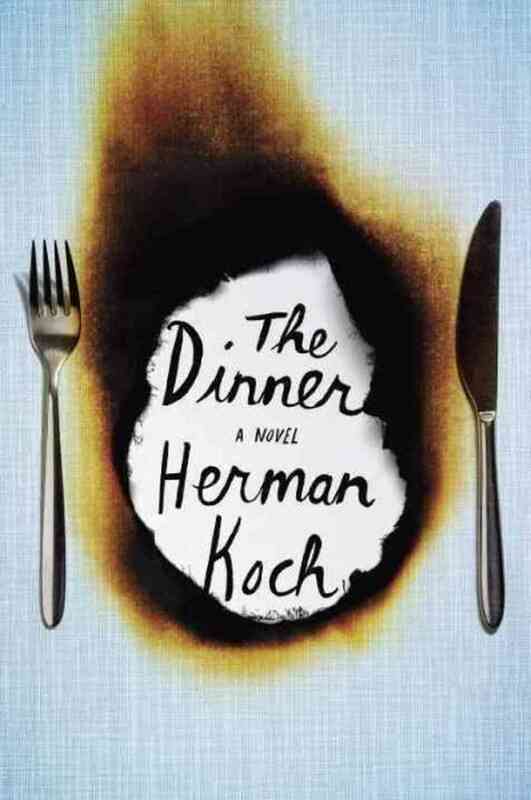 I finished The Dinner by Herman Koch and liked it very much, but talk about weird! This family group would never be on my list of desirable dining companions. 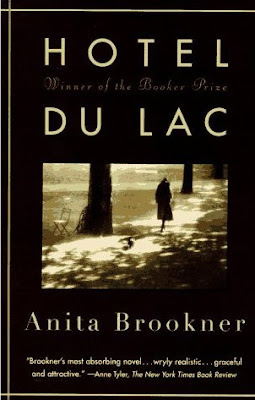 Next, I started Hotel du Lac by Anita Brookner. The writing and descriptions are lovely, but my mood isn't suited to such a quiet novel right now, so I'm setting it aside. 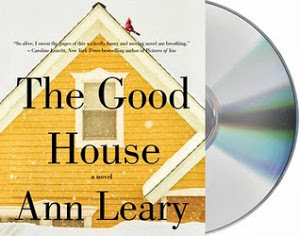 The Good House by Ann Leary is my current audiobook and I LOVE it! The narration is outstanding. Mary Beth Hurt is Hildy Good. I've just passed the half way mark and am already certain it will appear on my list of favorites in December. The plan today is to search my bookshelves and read whatever strikes my fancy. No review books, no book club selections... it's been a while! "We were going out to dinner. I won't say which restaurant, because next time it might be full of people who've come to see whether we're there. Serge made the reservation. He's always the one who arranges it, the reservation. This particular restaurant is one where you have to call three months in advance - or six, or eight, don't ask me. Personally, I'd never want to know three months in advance where I'm going to eat on any given evening, but apparently some people don't mind. A few centuries from now, when historians want to know what kind of crazies people were at the start of the twenty-first century, all they'd have to do is look at the computer files of the so-called "top" restaurants. That information is kept on file - I happen to know that. If Mr. L. was prepared to wait three months for a window seat last time, then this time he'll wait five months for a table beside the men's room - that's what restaurants call "customer relations management." I started this book on the train Sunday, was drawn in quickly, and read half of it before arriving in New York. I hope to finish this unusual novel within the next day or two. You know that old saying... and lately it applies not only to the weather, but also my out-of-control library queue. As to the weather, the rain actually started in late June. After several days of torrential downpours, a couple of towns in the area experienced severe flooding. FEMA has recently stepped up with federal aid for the victims, but the rain keeps falling. Not constantly, but a storm seems to roll in every afternoon. We are on relatively high ground, but a few streets in our village flooded and the lake's water level reached an unprecedented high last week. 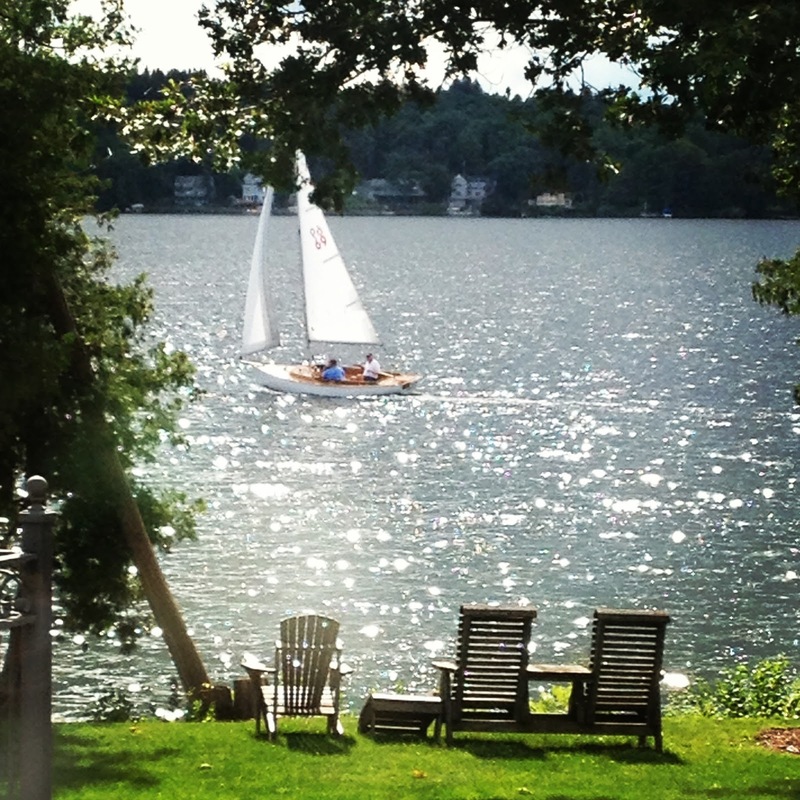 This prompted the town to declare a state of emergency for the lake on Wednesday and order a 'no wake' zone, prohibiting motorized watercraft. An eerie silence descended over the water on a beautiful summer evening ... no motors in the distance, no shrieks of laughter from kids water-skiing or tubing, no conversations between fishermen carried unknowingly over the water... just the sound of birds, waves, and the occasional kayak paddle. So peaceful! The water has now receded to a high normal level, but we have yet to receive word that the state of emergency has been lifted, although there were a few boats on the lake yesterday evening. When I got home, there was an email informing me that e-book holds of The Dinner by Herman Koch and Behind the Beautiful Forevers by Katherine Boo were available. All those books... and I had been planning on starting Hotel du Lac by Anita Brookner for Heavenali's Brookner Reading Month and The Whole Fromage by Kathe Lison for Paris in July. So, what's a reader to do? Someone mentioned in passing this week that it would be great if library hold lists worked like Netflix, and I heartily agree! I'm considering returning them all and starting over again. Here's the plan for now... I read the first chapter of Hotel du Lac last evening and want to continue. I'm intrigued by the story and really like the writing. 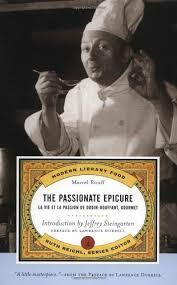 Since it's on my kindle and I prefer e-reading at bedtime, I'm several chapters into The Dinner, too. They will be the books I concentrate on this week. Then, we'll see if I can carve out enough time for the others before they are overdue. Alice Howland - Harvard professor, gifted researcher and lecturer, wife, and mother of three grown children - sets out for a run and soon realizes she has no idea how to find her way home. She has taken the route for years, but nothing looks familiar. She is utterly lost. Medical consults reveal early-onset Alzheimer's. Alice's slowly but inevitably loses memory and connection with reality, told from her perspective. She gradually loses the ability to follow a conversational thread, the story line of a book, or to recall information she heard just moments before. Genova's debut shows the disease progression through the reactions of others, as Alice does, so readers feel what she feels - a slowly building terror. Still Alice is a devastatingly sad portrayal of early onset Alzheimer's told from the point of view of the victim - in this case a 50 year old Harvard professor, wife, and mother of three. Alice's character is so real, the reader seems to experience her decline as well as her family's struggle to cope. I suggested Still Alice to my book club a couple of years ago, but it was rejected on the possibility of being "too depressing". It took a while, but I decided to read it and see for myself. Let me tell you, I literally sobbed toward the end of the book. There is much in this novel to discuss with a group and it begs for sharing of personal stories, but now that I've read it, I probably will not suggest it again. Instead, I will mention it during the time reserved for additional reading recommendations. While Alice's story is so immediate and informative, the writing struck me as utilitarian and, at times, almost clunky. I marked some passages for ideas, but found no quotes to share. 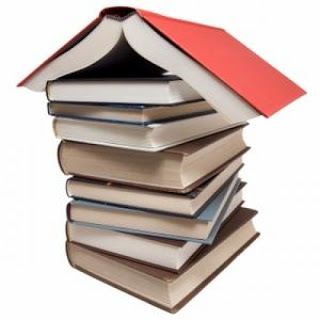 However, the novel is important to raise understanding and awareness of early onset Alzheimer's, the disease in general, and its impact on both victims and family members. 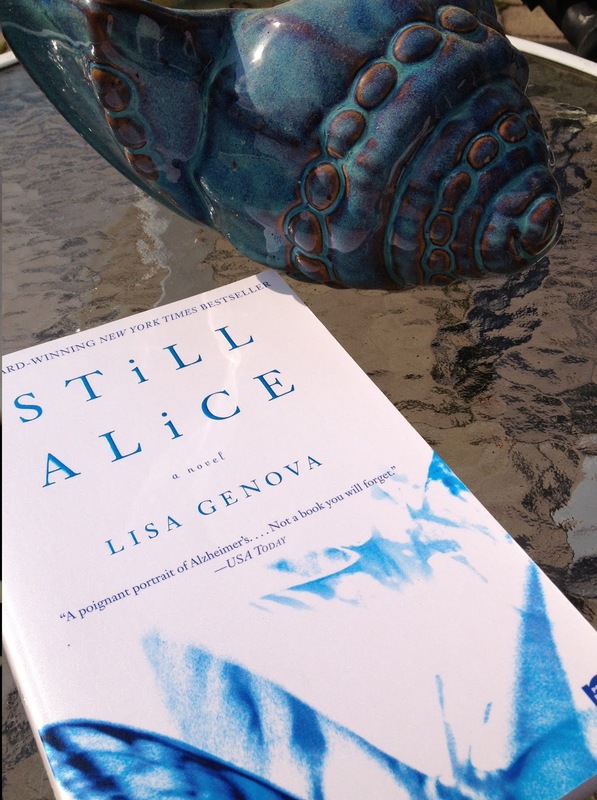 Still Alice is a novel to be read for the story, with allowances made for the writing. It's that time again. 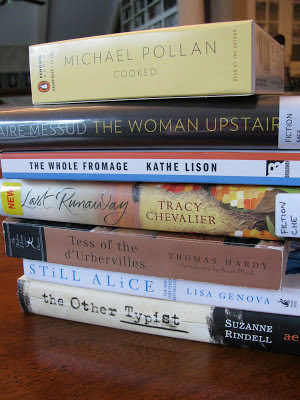 We've reached the midpoint of 2013 and it's time to take a closer look at what I've been reading. Although I've modified the categories to suit my needs, Jo deserves credit for creating this little exercise. How's your year stacking up? Sunday Sentence, inspired by author David Abrams at The Quivering Pen, highlights the best sentence(s) I've read this past week, out of context and without commentary. The month of June was a whirlwind, both on the blog (Pym Reading Week, Audiobook Week, Going Public...In Shorts, and The Literary Giveaway Blog Hop) and on the home front. In the above photo, you see a combination of books waiting to be reviewed and a couple in progress. I finished Tess of the d'Urbervilles by Thomas Hardy yesterday afternoon, just in time for the July 1 Classics Spin deadline. It has left me speechless, but what an amazing book! It truly redefines my idea and expectations of a tragedy. 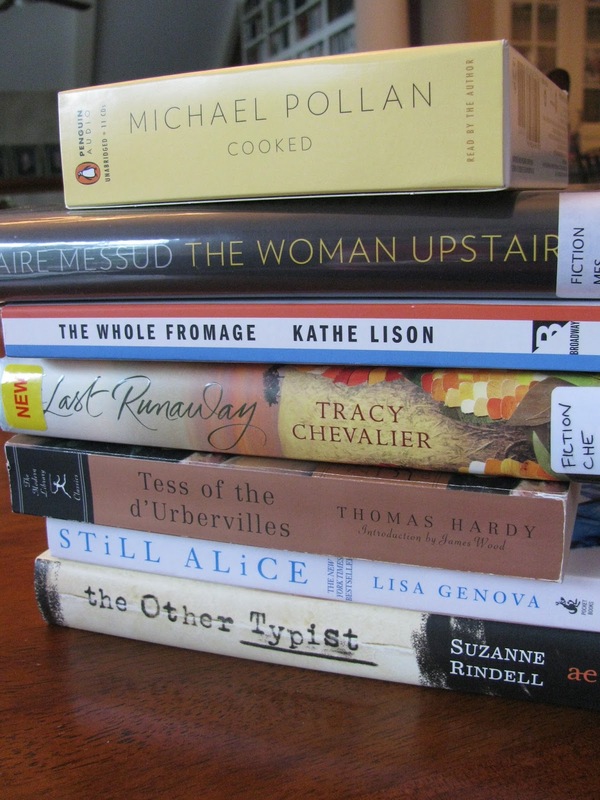 In addition to Tess, reviews are in progress for Cooked by Michael Pollan, Still Alice by Lisa Genova, and The Other Typist by Suzanne Rindell. My current audiobook is The Last Runaway by Tracy Chevalier. I picked up a print copy from the library in case I decide to read, too. 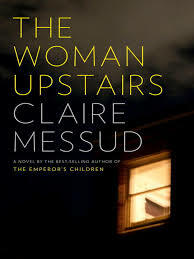 In print, I'm loving The Woman Upstairs by Claire Messud. Unfortunately, we were away for several days and I forgot to bring it along. Can't wait to get back to it tonight. 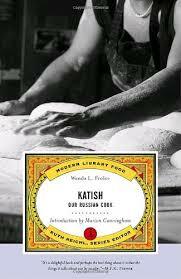 I've also just started The Whole Fromage by Kathe Lison. July marks the beginning of a new era - life without Google Reader. 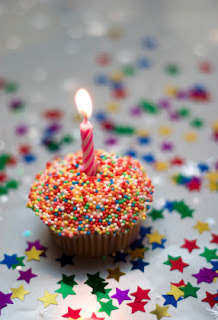 I've switched to Blogluvin' and have added a button to my sidebar if you'd like to follow me. Keeping up via Blogluvin' does not seem to be quite as easy as with Google Reader, but I have found the iPad app less cumbersome than accessing the main website from my laptop. Commenting is a problem on a handful of blogs though. ... is hosted once again by Karen and Tamara. The rules are the same as in years past, but I have not officially signed up yet. 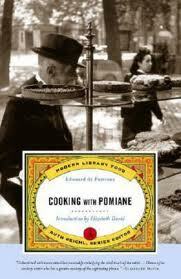 I hope to read Gigi by Colette (for The Classics Club) and The Whole Fromage by Kathe Lison. Watching Midnight in Paris, yet again, is also a given. ...is hosted by Heavenali. I picked up a copy of Hotel du Lac at the library book sale last summer and plan to read it later this month. These plans may be derailed by my current literary fiction binge. I can't remember the last time I've read so many recent releases, and now it seems all my library holds are coming in all at once. 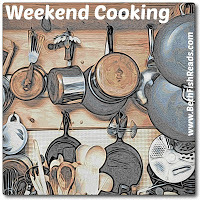 Life After Life by Kate Atkinson and The Astronaut Wives Club by Lily Kopell are ready for pickup, and I've also just received notification than an e-book of The Dinner by Herman Koch is available for download. However... all my reading and blogging will have to wait as the 4th of July approaches. The holiday is a very big deal in our little village - a road race, parade, concerts, sidewalk sales, and, of course, fireworks over the lake (without a doubt the best display around). Our oldest daughter is coming home from NYC tomorrow, Twin A's boyfriend has already arrived, and preparations are well underway for our annual Independence Day bash. I'll be closing up shop here for the rest of the week so I can fully enjoy the festivities.